Terry Camp, a shareholder with Budd Larner, P.C. in Short Hills, for 27 years, has been recognized over many years as a New Jersey Super Lawyer for the area of General Litigation and among Best Lawyers in America for the areas of Mass Tort/Class Action Litigation. He is the litigation attorney in the BNI Networker’s Choice Chapter. However, entertainment has always been his passion. Terry has used that passion to help out worthy causes, including CFC Loud ‘N Clear, a foundation committed to helping struggling addicts and their families. For the past five years, Terry has been the producer for The Big Man’s Birthday Bash at Bar Anticipation in Lake Como/Belmar, New Jersey. The Big Man is the more popular name for Clarence Clemons, the late sax player for Springsteen. BIG RoaD, partners with Clarence’s son, Nick a.k.a. Clarence Clemons III, for these annual shows. The event runs all day with headliners in the evening and ends around 1 a.m. This year included legendary Jersey rockers Gary U.S. Bonds, John Cafferty and Tunes from The Beaver Brown Band, John Eddie and others, fronted by The BIG RoaD All-Star Band and joined by The Nick Clemons Band and others. ​CFC’s mission is to expand recovery support services through mentorship, peer support, community education and outreach (including naloxone training). The organization runs programs that reduce stigma or discrimination against individuals with substance use disorders, and develop partnerships between recovery support groups and community organizations. 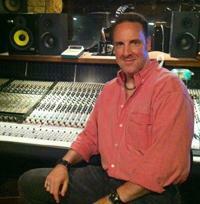 Terry definitely has some fun with his musical passions as a music promoter and band manager. He is a member of The Recording Academy that chooses the Grammy award winners. But perhaps his biggest claim to fame, at least in the eyes of New Jerseyans, is that he has produced club shows for the state’s own superstar Bruce Springsteen, as well as a host of other Jersey rock musicians. Terry also owns BIG RoaD, an entertainment company. “Bruce is a great guy, very contemplative,” Terry said. See Terry Camp's member profile here.